What's the difference between a rescue and a shelter? 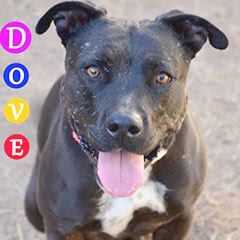 Shelters are sometimes private non-profit businesses, like the Humane Society of Southern AZ here in Tucson, or government-funded open admission agencies that are required to take any and all animals that come to their door, like Pima Animal Care Center (PACC) in Pima County. Shelters attempt to save as many lives as possible, but are often crippled by inconsistent policies, or staffing issues that are inherent in government entities, or are challenged by a lack of resources and space. Conversely, rescues work solely to save animals at risk of euthanasia by getting as many out of shelters and into foster homes, and provide training, veterinary care, and possible rehabilitation necessary while working to match them with loving forever homes. Rescues are completely volunteer-driven operations that depend on donations of time, money, supplies, services, and most of all people willing to open their homes to animals and be a foster until a forever home is found. Interested in becoming a foster home? What kind of dogs do you rescue? We focus on pit bull and pit bull type dogs, but we don’t discriminate! All types of dogs are welcome! Pit bulls are are consistently in the top three most popular dogs in America, along with Chihuahua type and Labrador retriever type dogs. Sadly, in spite of this, pit bull type dogs are consistently the most euthanized type of dog in our nations shelters, for many co-occurring and preventable factors. First, lingering BSL/BDL policies restrict many shelters nationwide from being able to adopt out pit bull type dogs to the general public. Even when shelters are allowed to adopt out pit bull type dogs to the general public, these irrational and fear-based policies prevent many people from being able to find housing where they can have their dog of choice and potential new family member come to live with them. 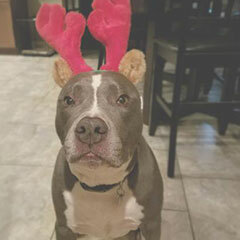 In today’s economy, many people are being uprooted and losing jobs as well as housing, and as a result their pit bull type dogs end up being relinquished to shelters because they cannot find another place to live that will allow their dog, simply based on their appearance and nothing more. Unless you are referring to an actual American Pit Bull Terrier (APBT), a pit bull is a type of dog, rather than any specific breed. 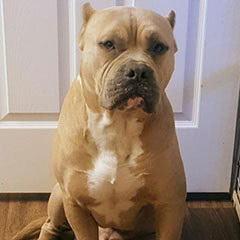 There are three main breeds of dog that routinely get lumped in to the category of ‘pit bull’, namely the APBT, American Staffordshire Terrier and Staffordshire Terrier dog. 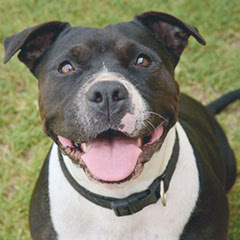 Depending on the context or entity referring to a ‘pit bull’, as many as 8 or 9 different breeds may be included. 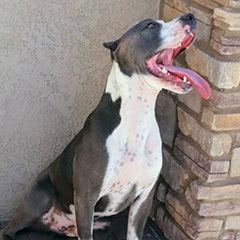 Generally, any dog in the Molosser category of canine, with the physcial characteristics of having a muscular build, short hair, and a blocky head can be categorized as a pit bull type dog. 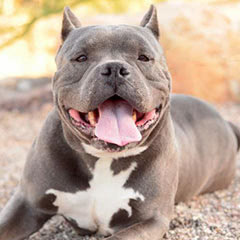 This amorphous definition of what a pit bull dog is, remains an important reason why any statistic or generalized statement about a ‘pit bull’ must be carefully evaluated. If you’d like to learn more, we highly recommend watching the “Beyond the Myth” and “Guilty Till Proven Innocent” documentaries. I can't keep my dog. Can you take him? Sadly, no. 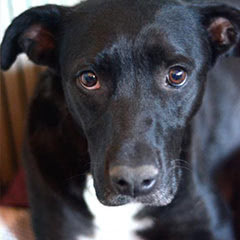 We are not a shelter – we are a rescue dependent upon foster homes to save lives. Our dream is to someday live in a society where surrendering your pet to a shelter is a last resort. We focus our rescue efforts on saving the forgotten and the unloved, but we also hope to provide public outreach and guidance aimed towards helping people to keep the animals already within their care. We go to the ends of the earth for our animals – our fur family members – sometimes at great personal cost, and expect that you will do the same for the dogs within your care. There are many excellent local resources for crisis situations in Tucson, that can be found on the No Kill Pima County SOS Directory. We also invite you to post questions, concerns and fundraisers on our Facebook group “Friends of Smiling Dog Rescue” and we will support you as much as possible. 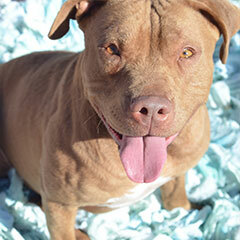 Click here for more information about owner surrenders and strays. I found a stray dog. What should I do? Lost dogs are usually found within a mile of their home. First, go to the nearest vet clinic and have the animal scanned for a microchip. If the animal is chipped, you may be able to immediately contact the owner, and reunite them quickly. The next step would be to start posting “Found” signs in the area you find the animal in, and include a photo. Post the photo along with your contact info on as many social media sites as possible, and ask people to share your post – so make sure it is open to the public and the information is clear. You can also search through the “Pets” and “Lost and Found” sections on Craigslist and post ads there as well. You can also post it on our “Friends of Smiling Dog Rescue” Facebook group and other social networking sites. If you’re in Pima County, Pima Animal Care Center (PACC) and the Humane Society (HSSAZ) will take found dog reports without you having to surrender them, which we highly recommend if you are able to hang on to the animal for a few days while looking for the owner. PACC and HSSAZ can be reached at (520) 243-5900 and (520) 327-6088 respectively. 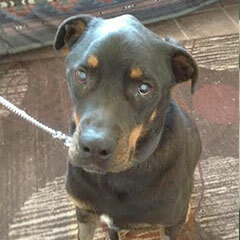 After 7 days if your found dog report is not paired with a lost dog report you are free to re-home the dog. As mentioned many other places, fostering an animal truly is an enormous gift, and it saves lives. Rescues could not exist without people willing and able to foster an animal, so if you have room in your heart and your home to foster a dog, please fill out our foster home application here. If you have a special skill that you feel might benefit us, we’d love to hear from you! Please call 520-977-8000 or you can connect with us online. The best way to donate is using the Donate page on our website or Facebook, which processes the donation through Paypal, but you do not have to have a Paypal account to donate. If you’d rather pay by check or over the phone, you can contact our vet The Pet Doctor at 6464 N Oracle Rd, Tucson AZ 85704, and indicate that it’s for Smiling Dog Rescue. 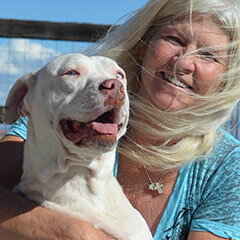 The Pet Doctor can be reached by phone at (520) 829-5166. Yes. We are a 501(c)(3) charity and as such, all donations made to us are completely tax-deductible. Please contact Rica at (520) 977-8000 for the tax ID number so that you can benefit from your generous donation at tax time. 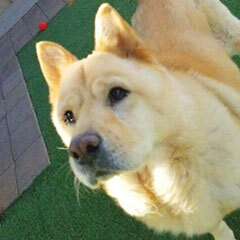 We want to find the perfect match for you and also for the dogs in our care. 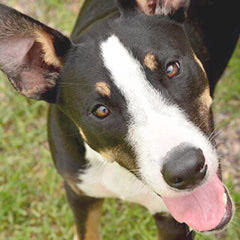 The adoption process includes a detailed application, a home inspection, introduction of the new dog with any current pets and a small adoption fee. What's the adoption fee for? The adoption fee is nominal, and covers the cost of the altering, vaccinations and microchip that come with every dog we adopt out through the rescue. The adoption fee goes back into our Smiling Dog Rescue account to help future dogs with things like housing, vet bills and/or food, and preparing the next pet for his loving and forever home. Who's that handsome sunglasses-wearing dog in your logo? 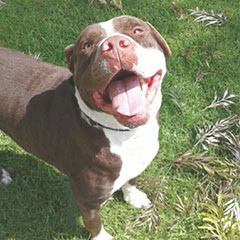 That’s Buzz, a former Smiling Dog that was featured as a Top Dog in the Tucson Weekly! 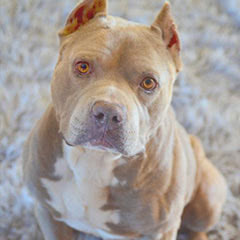 Buzz is a wonderful ambassa-dog for the Pit Bull breed and also for our rescue! You can meet Buzz on his Facebook page here.